HOUSTON – December 8, 2017 – NAPE Summit announced today Chesapeake Energy President and Chief Executive Officer Doug Lawler as the keynote speaker for the 2018 NAPE Global Business Conference as part of the 25th annual NAPE Summit Week taking place February 5-9, 2018, in Houston. Lawler, who has been president and CEO of Chesapeake Energy since June 2013, previously served as Senior Vice President of International and Deepwater Operations at Anadarko Petroleum Corporation and as a member of Anadarko’s Executive Committee from July 2012 to June 2013. Prior to that time, he served as Anadarko’s Vice President of International Operations, Vice President of Operations for the Southern and Appalachia Region and Vice President of Corporate Planning. The NAPE Global Business Conference explores the most pressing topics in the domestic and international oil and gas industry each year, featuring presentations from C-level industry experts one day before the NAPE Expo opens. The 2018 NAPE Global Business Conference will be held February 7, 2018, and will address trends in private equity, acquisitions and divestitures and more. NAPE Summit Week will also feature the annual NAPE Summit Charities Luncheon with Tom Brokaw as keynote speaker; a new Job Fair for upstream professionals; educational seminars presented by industry organizations AIPN, IPAA, SEG and AAPL; domestic and international NAPE Theaters running two days of Prospect Previews and Capital and Service Provider Presentations; and a two-day Expo on nearly 15 acres of exhibition space. The Expo will conclude with a Summit Sweepstakes drawing for a 2018 Silver Ford F-150 in celebration of NAPE’s 25th anniversary. 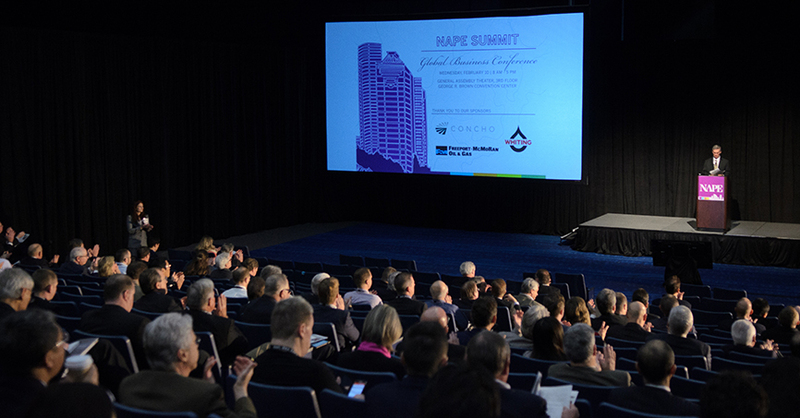 To learn more about attending NAPE Summit Week 2018, visit http://napeexpo.com/.